Introducing the seventh recording in Ian Page’s ground-breaking complete Mozart Opera Cycle. 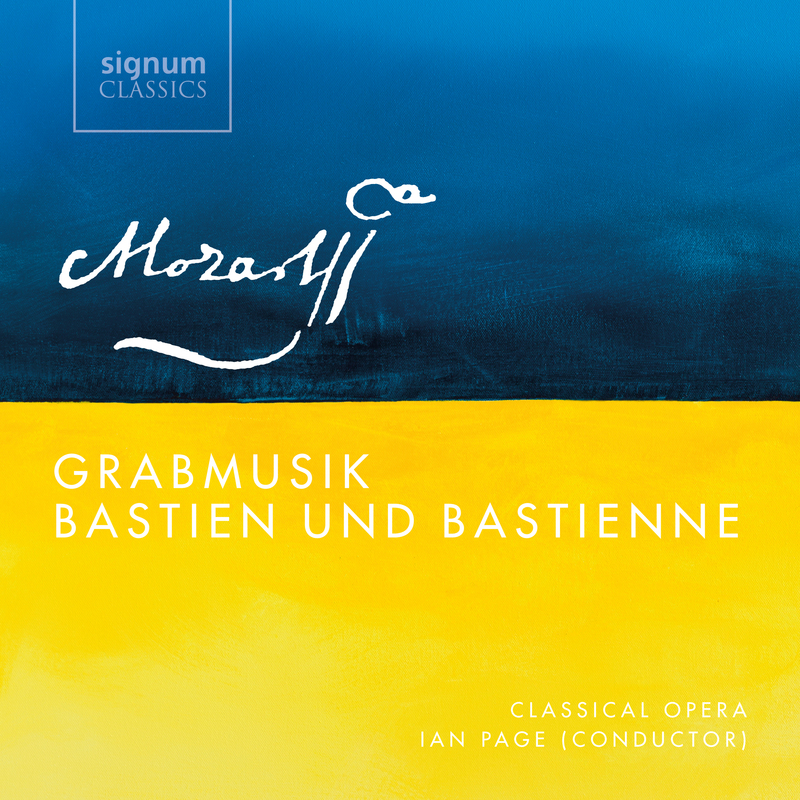 Classical Opera and Ian Page release the seventh recording in their acclaimed Complete Mozart Opera Cycle featuring the world première recording of the original 1768 version of Mozart’s Bastien und Bastienne, paired with the original version of the 1767 cantata Grabmusik. This recording brings together an outstanding cast comprising of Anna Lucia Richter (soprano), Alessandro Fisher (tenor), Jacques Imbrailo (baritone) and Darren Jeffery (bass-baritone) with the period-instrument orchestra of The Mozartists. Bastien und Bastienne is the only one of Mozart’s operas to be conceived for a performance in a private house rather than a theatre. It was commissioned by the controversial German physician Franz Anton Mesmer in mid-1768, when Mozart was 12 years old, and set a 1764 libretto by F.W. Weiskern. This libretto was essentially a German adaptation of a French libretto which was itself an adaptation of Jean-Jacques Rousseau’s 1752 intermezzo Le devin du village. When Mozart returned to Salzburg in 1769, a few months after the composition of Bastien und Bastienne, his friend Johannes Schachtner, who fancied himself as a librettist (he was subsequently to write the text for Mozart’s Zaide), felt that Weiskern’s text was too harsh and angular, and he set about the task of ‘improving’ it. Because Mozart had already composed the music, Schachtner limited his changes in the sung text to sporadic words or phrases that have the exact same stresses and syllable-count, but he completely rewrote the spoken dialogue, rejecting Weiskern’s prose in favour of a versified text which he hoped Mozart would set to recitative (Mozart did indeed set the first few recitatives before seemingly losing interest). When examining Mozart’s autograph it is clear that the original text has been crossed out in a different pen wherever Schachtner made changes to the sung text. The Bärenreiter Urtext edition, however, was made before the rediscovery of the manuscript, and therefore follows (along with other editions) an inauthentic hybrid of Weiskern, Schachtner, dialogue and recitative. Ian Page’s recording reinstates Weiskern’s deliberately rustic and unrefined language, the first recording of the opera to do so. The second work featured on the disc is Mozart’s cantata Grabmusik, which is supposedly the result of a test set by the Prince of Salzburg. The Prince was sceptical that a child could write “such masterly compositions”, so the ten-year-old Mozart was shut in a room for a week with manuscript paper and words of an oratorio. The anonymous text represents a dialogue between a tormented soul, who is lamenting Christ’s death, and an angel. When the work was revived in the mid-1770s Mozart added a final recitative and chorus, but this recording again presents Mozart’s original version, ending with the conciliatory duet between the Soul and the Angel. 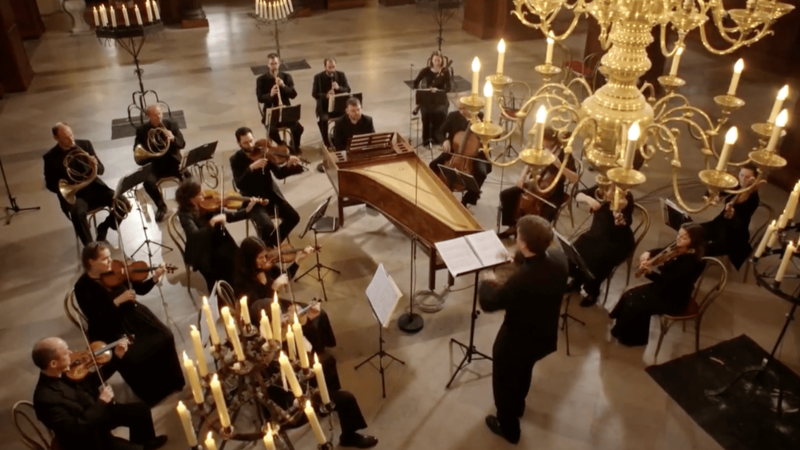 The work was conceived for performance in Holy Week, and its title can be translated as “Cantata on Christ’s Grave” – literally ‘grave music’. As part of Ian Page’s visionary MOZART 250 series, Classical Opera and The Mozartists will present the first modern performance of Mozart’s original version of Bastien und Bastienne at Wigmore Hall, London on 18th September 2018.